I created these drawings with a Staedtler Fineliner pen and a Faber-Castell brush artist pen. 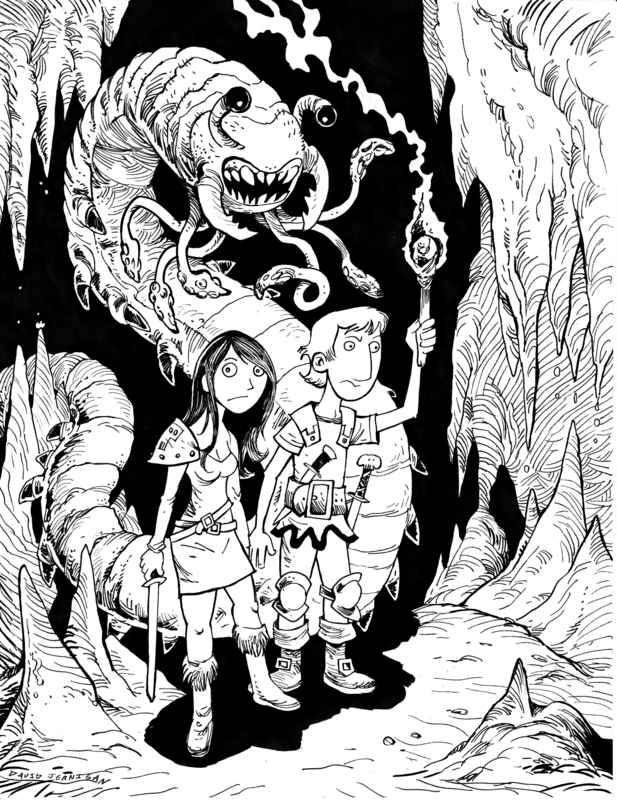 These two drawings are some more Fiend Folio inspired illustrations. The TSR Fiend Folio is a book my brother owned when I was a kid. The book is filled with illustrations of heaps of imaginative creatures malevolent and benign. As a disclaimer, these drawings are neither created nor are they endorsed by the current copyright holders of TSR’s former property. These are two drawings of a Beholder and an Owlbear. 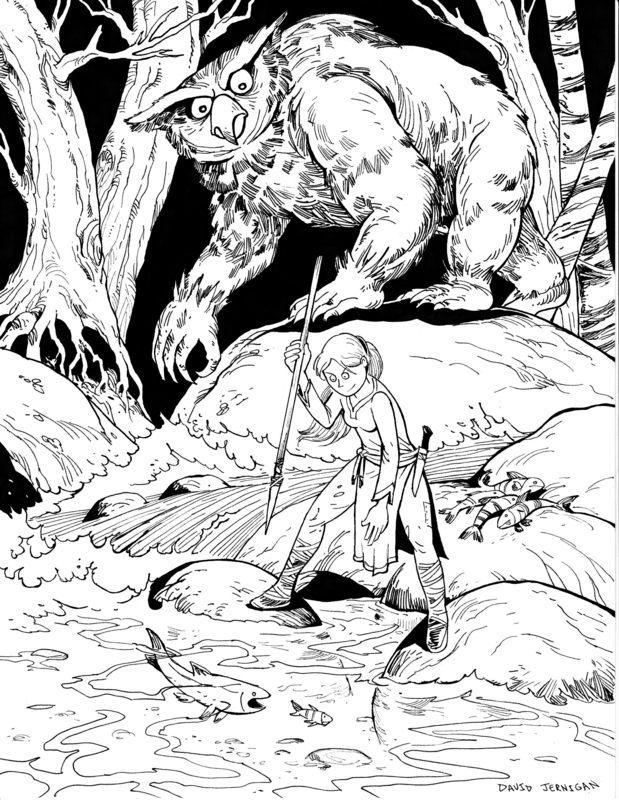 I always thought the Owlbear is one of the most ridiculous and interesting of TSR’s creatures. This Owlbear is surprised to find competition at its fishing spot. I created these drawings with a Faber-Castell brush artist pen and a Staedtler Fineliner pen. 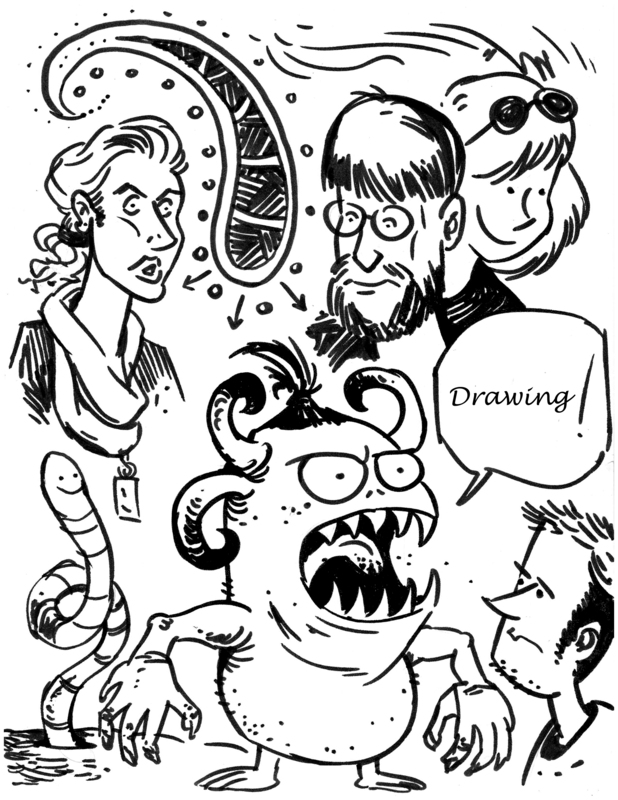 The brush pen allows you to create a wonderful verity of line thicknesses, however it is hard to use for fine detail. The drawings are of a subject I enjoy; I have always loved drawing monsters. When I was young, my brother had a whole bunch of the TSR monster bendy toys from Dungeon and Dragons. The toys were simple, almost completely without articulation and poorly painted, but they were a great deal of fun to play with. He also had the TSR Fiend Folio book. 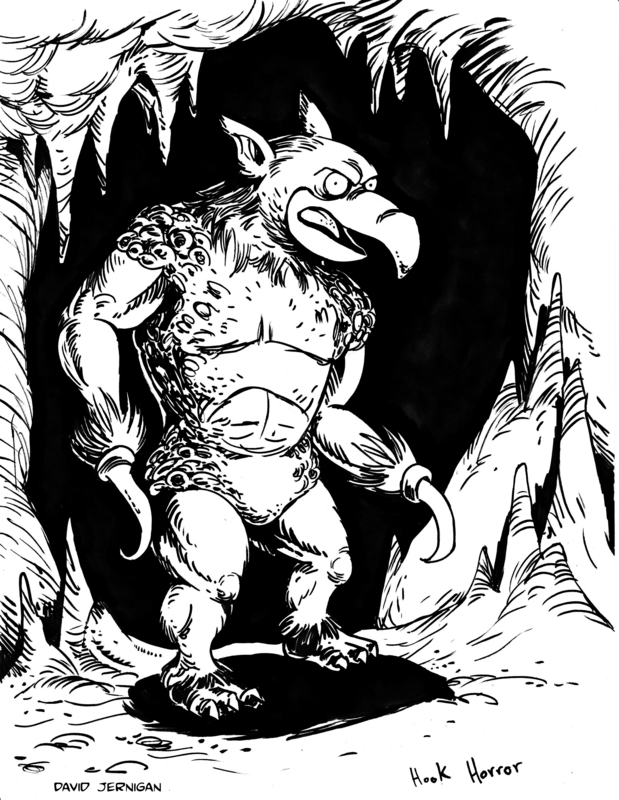 The Fiend Folio is a book filled with illustrations of heaps of imaginative creatures malevolent and benign. The illustrations in the book I admire the most are created by Russ Nicholson. 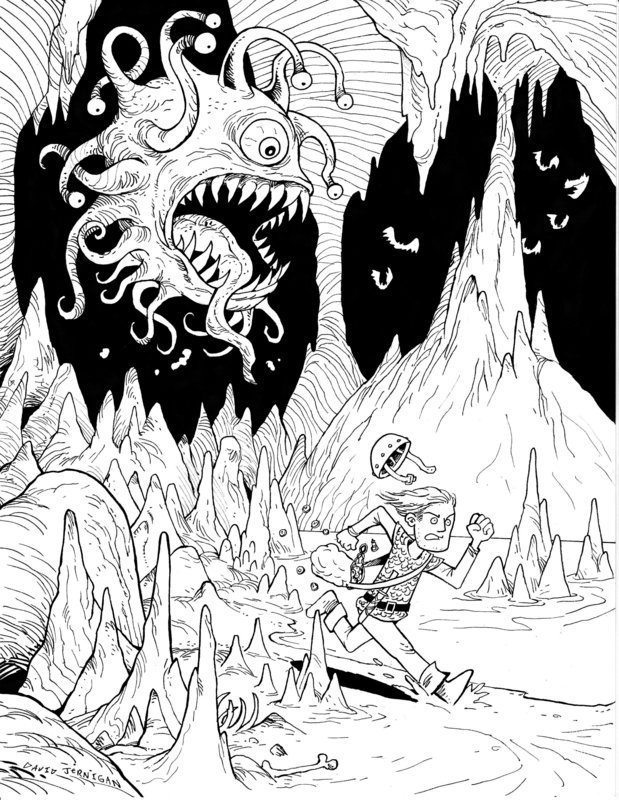 His black and white illustrations have a great deal of detail and bold inking. I figured I would make a few fan art drawings. As a disclaimer, these drawings are neither created nor are they endorsed by the current copyright holders of TSR’s former property. I made a Carrion Crawler, Hooked Horror and Rust Monster. 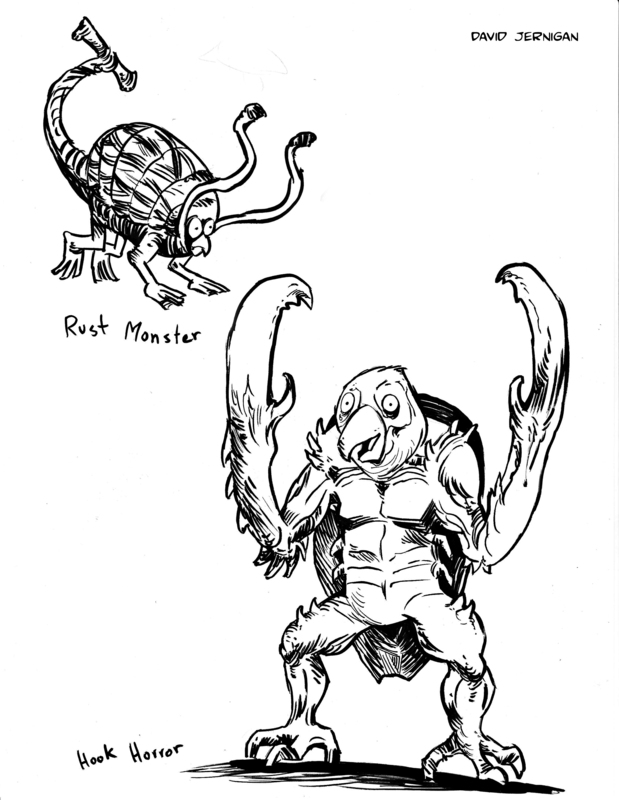 The Carrion Crawler is a mix of the original TSR version and the updated version. I drew the Hooked Horror from the TSR Fiend Folio and the updated version (They both look incredibly ridiculous). If you ran into the Hooked Horror in a dark passageway you would laugh and then run for your life. 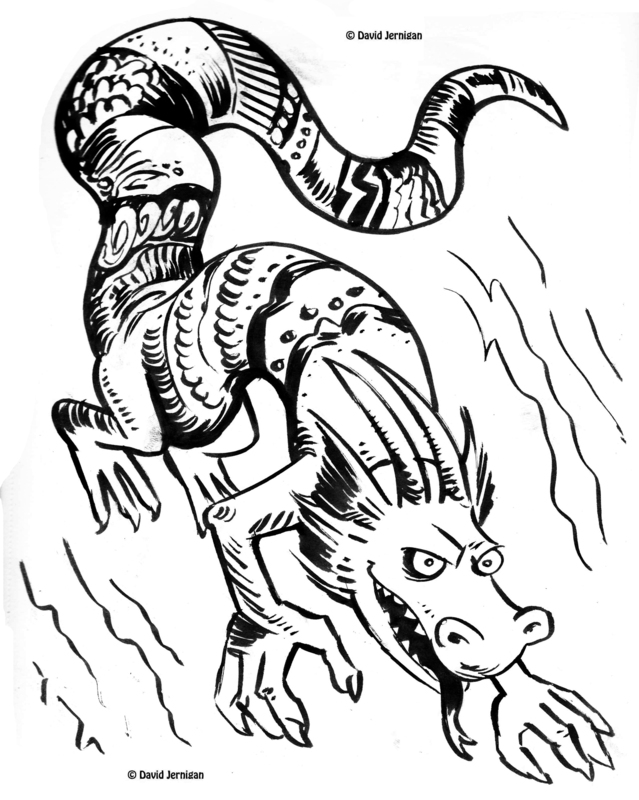 I’ll post a few more Fiend Folio inspired drawings, next week. 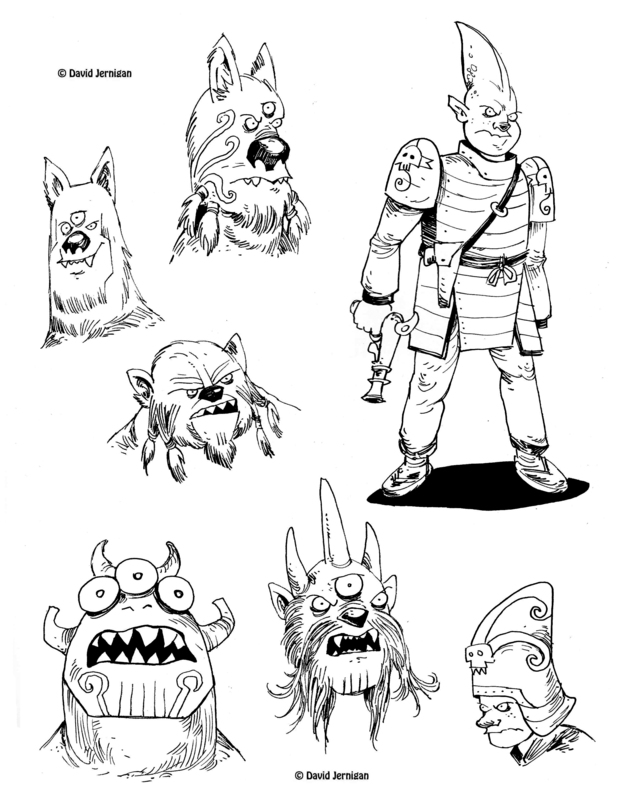 Some more drawings from my sketch book. I used a variety of pens to create these sketches. The first one is a dragon and the later sketches are alien ideas for a comic I am working on. 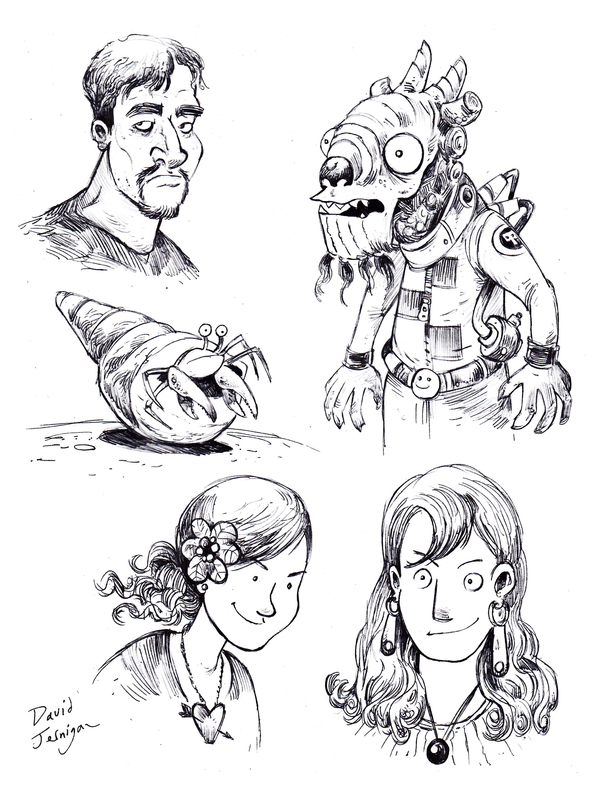 These drawings are some more from my sketchbook. 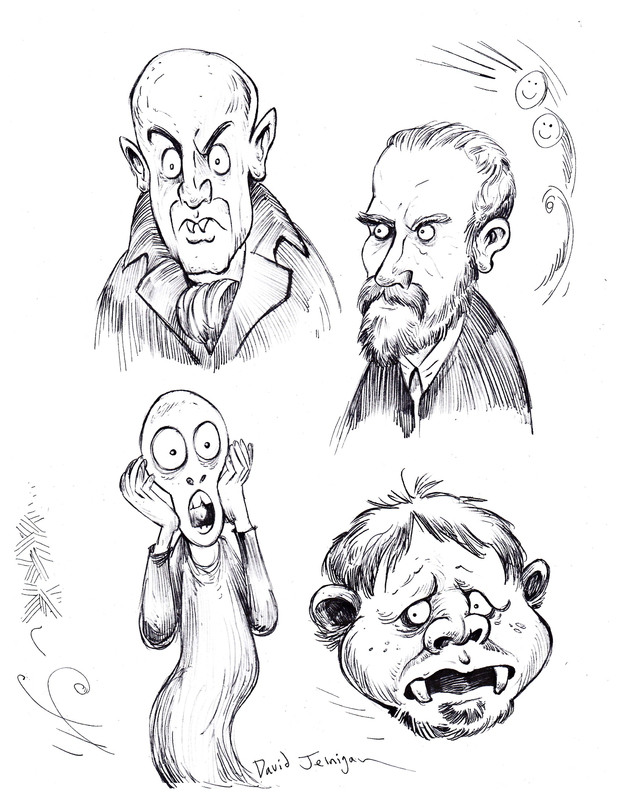 I drew these during a barrage of school meetings. Nothing like good old meetings to inspire some decent doodles. I used ball point pens for most of the drawings.